Be it superb river to table dining, fresh seafood, or garden vegetables – you can’t beat the sophisticated lodge dining of Tordrillo Mountain Lodge. “You know what’s cool about Grayling?” asks guide and co-owner Mike Overcast, raising his taught rod high into the cerulean blue sky, “It makes great sashimi.” This is true sophisticated lodge dining. The frisky Grayling was one of more than a dozen catches of the morning, effortlessly pulled from the shimmering rivers that snake through spectacular big-mountain terrain at Tordrillo Mountain Lodge. 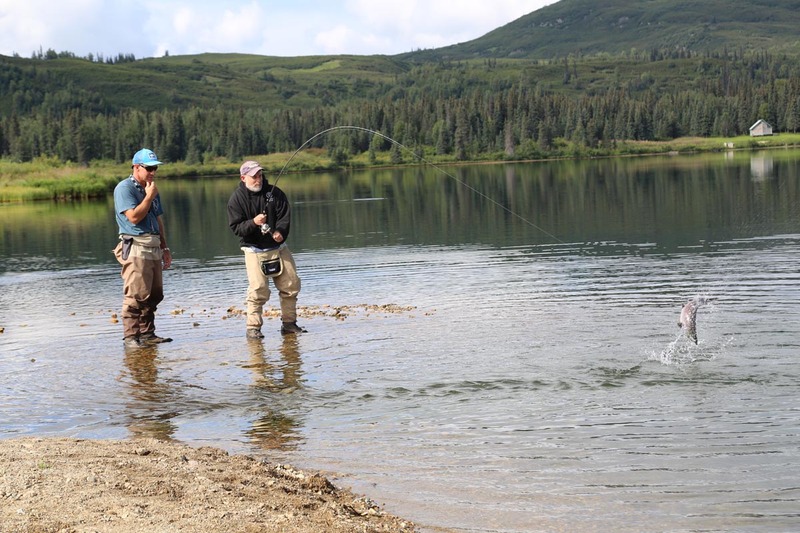 Straight from the door of the rustic-chic lakeside camp, from July through September it’s all about five-star Alaska heli-fishing, heli-hiking, a full menu of multi-sport adventure — and some top-drawer hospitality and dining. After a scenic 40 minute float-plane flight from Anchorage – Denali, North America’s tallest peak in the distance – we set down gently on Judd Lake. The long clear lake makes a serene backdrop for the luxurious Alaskan lodge – outfitted with all the best outdoor adventure toys. All the top-quality gear for fishing is provided but that’s only the beginning: there are rooms full of rafts, skis and bikes, SUP, canoe and kayak paddling, Jet Skis, wake and foil boarding, ice climbing and rock climbing. All activities are accessible from the door and from your own private helicopter. 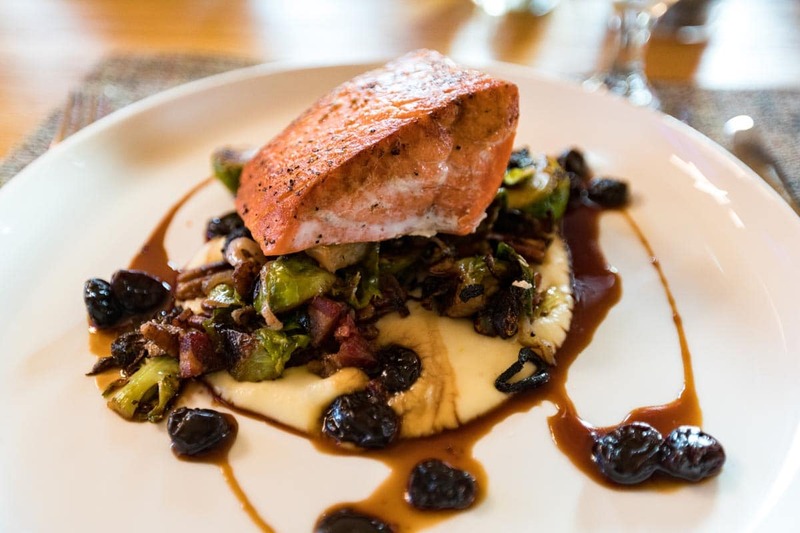 Appetites run high in such wild climes and Tordrillo’s superb sophisticated Alaska river to table dining and Chef prepared cuisine does not disappoint. Freshness is built in: herbs and vegetables come straight from the lodge’s own gardens. The day begins with fresh fruit, home-made granola as well as hot dishes. Lunch – whether it’s riverside, mountain top or perhaps part of a deliciously lazy afternoon with a book and a massage at the lodge – is a treat of homemade soups, tasty sandwiches, and loaded brownies and cookies (and there’s a help-yourself policy to anything in the refrigerator or pantry). After a day of Alaskan backcountry fly fishing, we additionally took in a bit of heli-hiking and sky trekking, flying low over craggy peaks and sprawling icy glaciers straight out of National Geographic – evenings kick off with cocktails round the bar. Not only does lodge manager Jennifer Cornell make a mean Negroni, this fishing guide is one of most talented fisherwomen in the country. Dining at Tordrillo Mountain Lodge is superb. Alongside aperitifs, each day there’s an embarrassment of delectable nibbles – from juicy Kachemak Bay oysters to tender king crab. The wine cellar is over 500 bottles strong, including Italian greats such as Sassacaia, Ornellaia and Gaja, alongside award winners from Bordeaux, Napa Valley and Pacific Northwest pinots. Dinner arrives with veggies fresh from the garden and one night it’s fresh halibut with coconut jasmine rice, another is local wagyu tenderloin with roasted mushroom risotto and blueberry beurre rouge. Fresh white king salmon, black cod and scallops are among other delights to cross our table. And, while King fishing is release, keeping and eating your catch is a true treat – be it roasted, baked or sliced raw with wasabi and soya. In this remote idyll where you can float downriver for three days without seeing another soul, it’s sinfully easy to do.